The AVO Turboworld Silicone Radiator Hoses are different from your average silicone radiator hose. 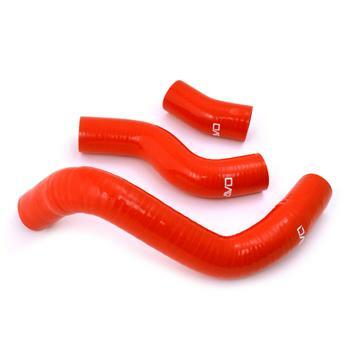 Manufactured from 5-ply silicone hose, we further reinforce the lower radiator hose with wire for ultimate strength. This reinforcement is a necessary upgrade for performance oriented builds due to water pump cavitation. Water pump cavitation happens at high revs on performance motors, and is a very common cause of overheating at the track. By reinforcing the hose with wire, it prevents it from sucking shut from the cavitation effect at high rpm’s. This keeps your cooling system working at peak efficiency when you need it the most!